Joseph Simmons, the younger brother of James Simmons, was born in London in 1810, son of convict parents Nathan and Sarah Simmons. About 1832 in London he married Nancy (1812-60), the daughter of a wealthy broker Henry Cohen. They had five sons and three daughters. He died on 9 August 1893 and was buried in the Old Jewish section of Rookwood Cemetery. Joseph Simmons first appeared on the London stage at the age of 12. He arrived in Sydney in May 1830 on the Arab and by June 1831 had set up as an auctioneer, later becoming a partner in S Marks & Co. He went back to London in 1832 and returned to Sydney with his new bride and her family in 1833. Meanwhile, his father-in-law Henry Cohen was transported on the Lloyds for possessing stolen promissory notes, arriving on 18 December 1833. Simmons opened a Fancy Bazaar in Paddington House, George Street. In February 1834 he joined Barnett Levey as part-proprietor and stage manager of the Theatre Royal and made his name as a comic performer and Shakespearian actor. 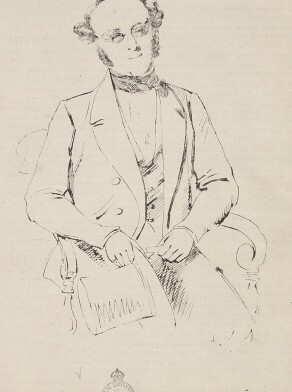 His partnership with Levey ended but he again leased the Royal in April 1835, becoming sole manager until another argument with Levey in 1836 when he went to Tasmania. He returned to Sydney, becoming chief auctioneer with the short-lived Australian Auction Company and a partner of Simmons & Marks, auctioneers and ironmongers. When that partnership was dissolved he became involved as manager and performer at the Victoria Theatre where he achieved success as an actor and singer. In May 1843, he opened his own City Theatre in Thomas Burdekin‘s Market Street store but it soon closed and in July 1843 he was declared insolvent. He continued performing at the Victoria Theatre and also, in 1844, became licensee of the Tavistock Hotel on the corner of King and York Streets where he provided concert nights at Simmons’s Saloon. In 1850, his private residence was William Street, Woolloomooloo. By 1858 he was in business with his son at 289 Elizabeth Street. He spent time as a storekeeper and gold buyer in Bathurst, Gulgong and Carcoar, returning to George Street as an importer and storekeeper. In 1864 Joseph Simmons was the licensee of the Burbank Hotel on the corner of Darling and Nicholson Streets in Balmain. Joseph Simmons was very involved in the York Street Synagogue and became its President from March 1858. As early as 1833 he and others had organised private tuition for Jewish children. Joseph Simmons was the second Jewish Alderman of Sydney Council when he was elected Councillor from 2 November 1850. He lost his seat on 31 December 1853 when the Council was replaced by a three-member Commission.